Over 45 years of age the skin gradually loses its firmness, elasticity and flexibility, and the processes of aging and wrinkle formation run much faster. 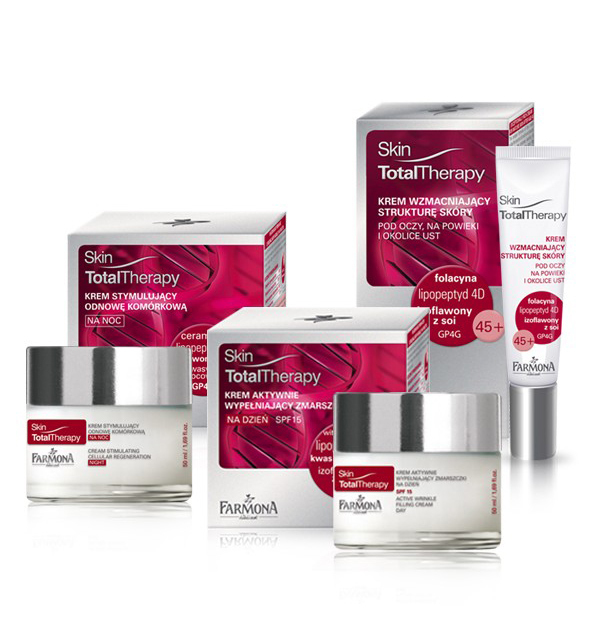 It is associated with menopause and decrease in female hormones (estrogens) that regulate metabolism and significantly impact on skin condition. The energy level of cells and the ability of DNA to renewal also decreases with age, making the regeneration processes occur much slower and the signs of aging become more apparent. 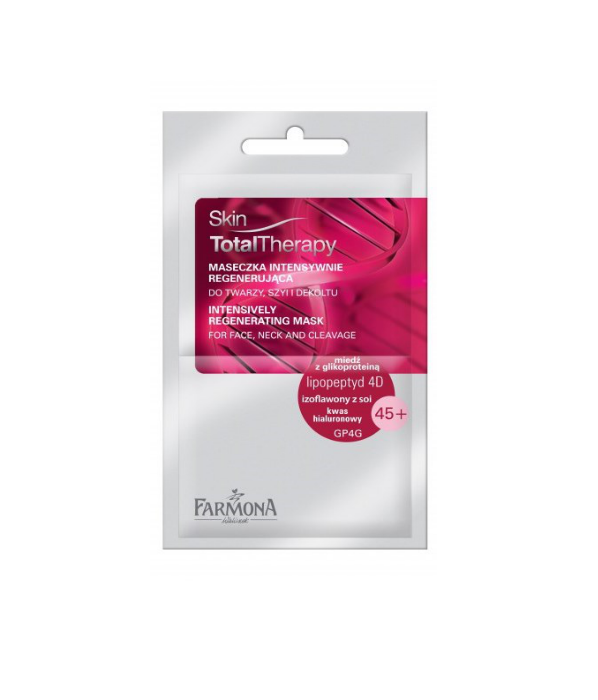 Total Skin Therapy 45 + is an innovative anti-wrinkle treatment designed for mature women over 45 years of age, which effectively fights the skin aging process at the cellular level. Mature women over 45 years of age, consciously caring about beauty, drawing attention to the recipe and carefully selected ingredients which are effective, following the trends – including modern formulations containing modern components, where the whole is packed in a beautiful and elegant packaging. Modern women, who appreciate luxury and have a highly developed sense of aesthetics. It is a series for determined women, who care about themselves, who appreciate luxury, elegance and attractive appearance.